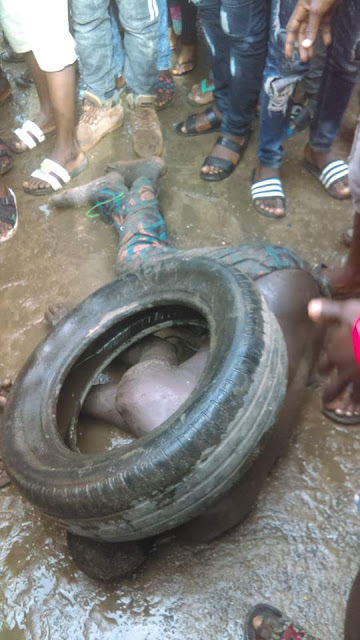 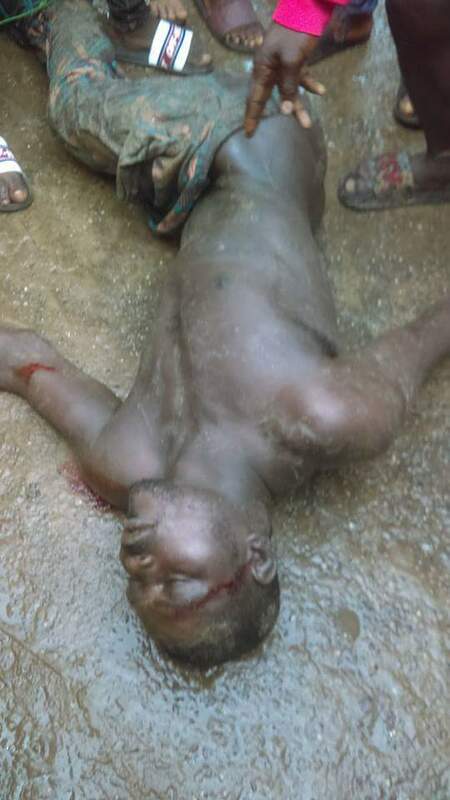 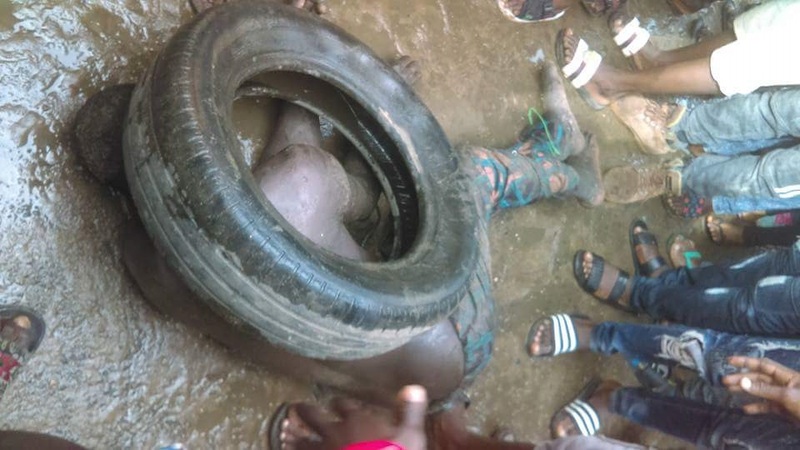 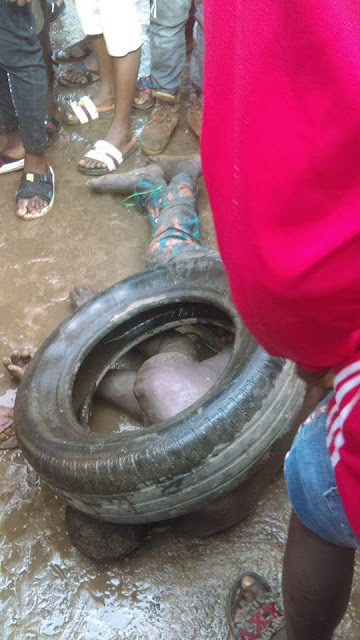 A baby kidnapper has been caught in and nearly burnt to death by angry mob in Lagos.According to report,3 men were on the verge of snatching a baby from a woman at Showimo bus stop,Ojo Alaba International Area, Lagos State when mob came to her rescue. 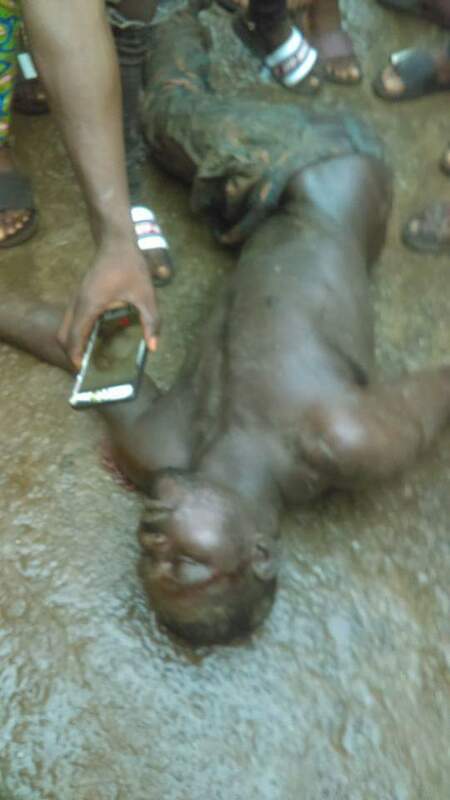 Two of the men escaped. The one apprehended was almost burnt to death but some Lagosians pleaded that he should be handed over to the police.